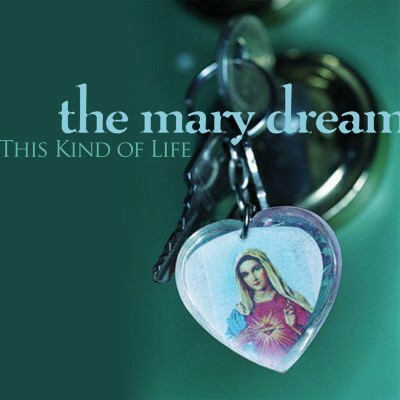 On This Kind of Life, The Mary Dream takes their signature vibey sound to a deeper level. Staying true to their DIY roots, the entire record was written, recorded and produced by The Mary Dream alone. This Kind of Life delivers 11 ultra vibey songs that pop, rock and chill – this time with a fuller, richer sound. On This Kind of Life, instead of filling out the sound exclusively with guitars, Blake Ryan Dayton added bittersweet piano riffs, lush ambient synth and intricate drum programming – all of this combined with Elise Bellew’s ethereal vocals and introspective lyrics to further the unique sound that The Mary Dream has become known for. This Kind of Life was mixed by 5-time grammy winner Reid Shippen (Matt Kearney, India Arie, etc) and mastered by Greg Calbi (John Mayer, Norah Jones, etc). Guest musicians include Justin Cary on bass (Sixpence None The Richer), Steve Bowman on drums (Counting Crows, Luce), Steve Brewster on drums (Jewel, Faith Hill), Mark Hill on bass (Keith Urban, Carrie Underwood), and David Henry on cello (Butterfly Boucher, Vienna Teng). All other instruments were of course played by Blake Ryan Dayton. “Go Deeper” with This Kind of Life.